What is Pizza in Japan? Delicious and Weird at the Same Time! 11:18 AM… Saturday, 18 December. *inhales deeply* Ahhhhh! Pizza oven… that bready, tomato-ey, ever so slightly burnt edges kind of smell. The warmth spreading around the restaurant, welcoming patrons on a cool winter afternoon. It’s lunch time in Japan and I’m dying for pizza. This time happens to be a Neapolitan, Italian style pizza baked in those amazing stone ovens. Tokyo is special. It’s a lot like New York City. Where essentially everything you’d want to eat is available somewhere. All you have to do is find it. Pizza is a special food. On one hand the purist, Italian, carefully hand-crafted masterpieces of pizza. On the complete opposite side of the spectrum are things like Dominos and Pizza Hut — and Pizza-La in Japan. In this article, I simply want to show you pizza in Japan and curate a whole ton of resources for you to discover places to go — and more to learn if you want. Some will like it. Some won’t. Basically, if you love your pizza a very specific way and always with a certain set of toppings, you’re probably not going to like it. But if you are adventurous and believe variety is the spice of life, you’ll love it! You will probably be blown away by how expensive Japanese pizza can be. The premium 4-flavor pizzas will run you around $30-$40 each! And if you think large means large… it’s more like a medium. But don’t let that deter you. Let’s start off with something remarkable. In this video, Eater introduces us to pizza chef Susumu Kakinuma. Who is credited with starting the Neapolitan pizza movement in Japan. Thanks Kakinuma-san! And then we start moving toward the weird side of pizza in Japan — at least from a foreigner’s perspective. To the Japanese this is totally normal. You know what? I could probably go on and on. Not because they use a lot of toppings in Japan. But it is because the Japanese consumer really values variety. 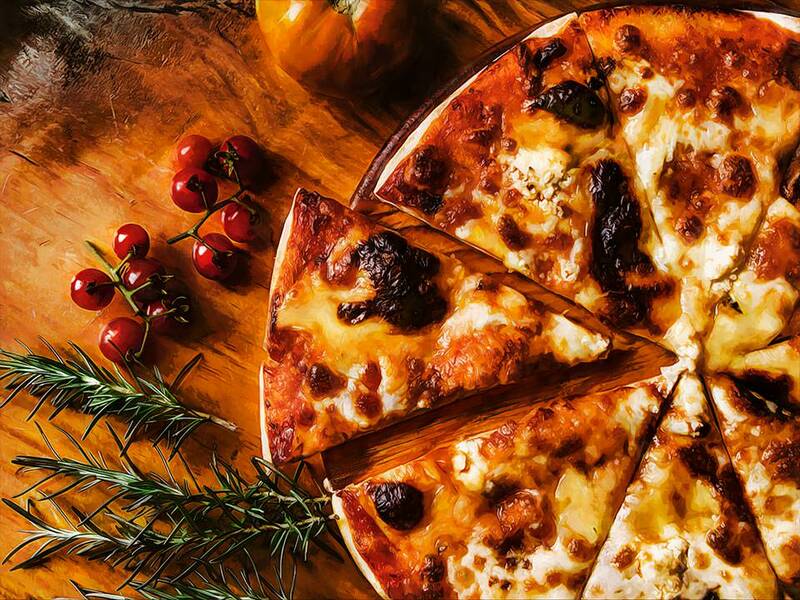 Some ingredients will only be available certain times of the year — pizza seasonality! “Whether you love it or hate it, Japanese pizza exists. McDonald’s manages to provide homesick foreigners in Japan with a similar (and arguably better) product from back home, but somewhere along the line, chain pizza stores in Japan got it all wrong. This article wouldn’t be complete without letting Simon and Martina show you weird Pizza Hut pizza in Japan in only the way they can.